Experience the best of Florence in one day on this private tour of Florence. The tour starts with a private transfer by air-conditioned vehicle and an English speaking driver from your cruise ship at the port of Livorno (Leghorn) to Florence. 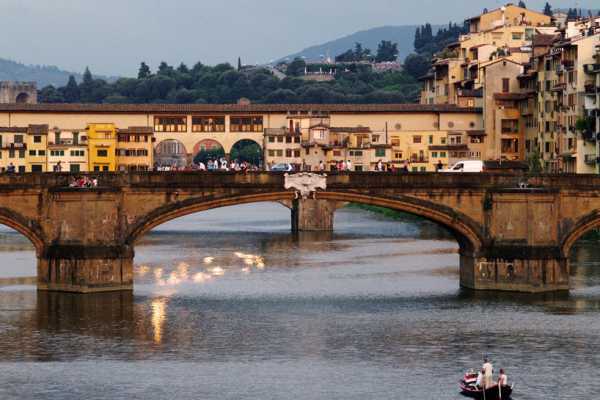 Upon arrival you will soak up Florence’s must-see sights on a complete half-day tour of the city. With the live commentary of your expert local guide, describing Florence’s architectural, artistic and cultural attractions, answering your question as you go along. The tour will begin with a photo-stop at one of the most popular observation spots of Florence: Piazzale Michelangelo, driving past the Basilica di San Miniato al Monte, the finest Romanesque structure in Tuscany. Then, you will head to the historic city of Florence for a panoramic tour of the main monuments before delving deeper into Florence with a walking guided visit of the Duomo Complex. You will admire the Cathedral , notable for its dome designed by Filippo Brunelleschi, the Baptistery and Giotto’s Belltower before finishing the tour on Signoria Square dominated by the massive Palazzo Vecchio and by the beautiful Loggia dei Lanzi. A mid-day stop for a light lunch or snack (not included) followed by some free time. At the end of your Florence day tour, the driver will take you back to your cruise ship in Livorno. The tour starts with a private transfer by air-conditioned vehicle and an English speaking driver from your cruise ship to Florence. Upon arrival you will soak up Florence’s must-see sights on a complete half-day tour of the city. The tour begins with a photo-stop at one of the most popular observation spots of Florence: Piazzale Michelangelo, driving past the Basilica di San Miniato al Monte, the finest Romanesque structure in Tuscany. We head then to the historic city of Florence for a panoramic tour of the main monuments before delving deeper into Florence with a walking guided visit of the Duomo Complex. Here you will admire the Cathedral, notable for its dome designed by Filippo Brunelleschi, the Baptistery and Giotto’s Belltower. The tour end in Signoria Square dominated by the massive Palazzo Vecchio and by the beautiful Loggia dei Lanzi. After lunch (not included) you will move to Pisa: the city is known for its bright monuments, which include the 11th-century Cathedral, the Baptistery and the Leaning Tower. Free time to stroll around the city before leading to Livorno with your vehicle driven by courteous, professional chauffeurs. 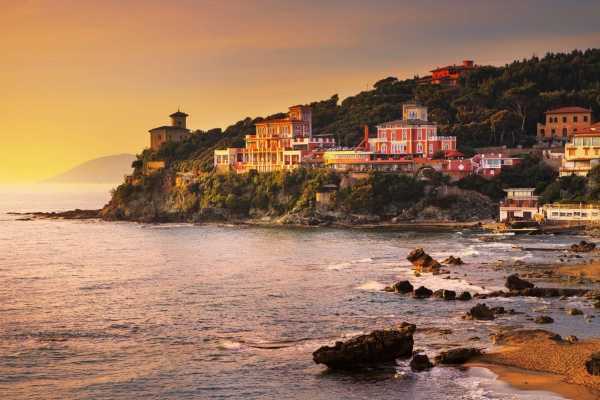 On this private chauffeured tour you will head south-east from Livorno to Siena, one of Italy’s most attractive cities with its concentration of Medieval and Gothic architecture. 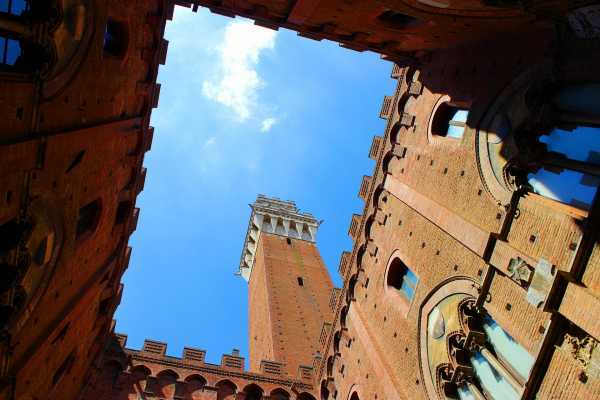 Upon arrival in Siena, you will start a guided visit in the old city center with a licensed, professional English speaking guide who will accompany you to all Siena’s monuments to be visited on this tour. While walking along the narrow medieval streets, you will admire the splendid Cathedral where you can visit the marvellous interior including the Libreria Piccolomini. The tour will continue to Piazza del Campo, where you will find the Palazzo del Comune. After lunch we will leave for San Gimignano, a small walled Medieval hill-town, one of the most picturesque villages in Italy mainly famous for its towers. After the free walk, board the van for your return journey to Livorno.